Rockstar Games has announced that Grand Theft Auto: Episodes from Liberty City will be coming to the PC and PlayStation 3 in March. No, it's not exactly a big shock, but can any of us really claim to be surprised when a massively successful franchise is leveraged on other platforms? But it's good news nonetheless: Owners of the PlayStation 3 and PC versions of Grand Theft Auto IV will finally have a chance to try The Lost and Damned and The Ballad of Gay Tony, the two DLC releases that were released for the Xbox 360 last year. "We are happy to announce the much anticipated release of Grand Theft Auto: Episodes from Liberty City for the PlayStation 3 computer entertainment system and Games for Windows Live on March 30, 2010," Rockstar said in an announcement on its website. "For the first time, PlayStation 3 and Games for Windows Live players will have the opportunity to experience the last two thrilling chapters of the Grand Theft Auto IV saga." "The two action packed episodes will also be available for download on the PlayStation Network and Games for Windows Live on March 30, 2010," it continued. 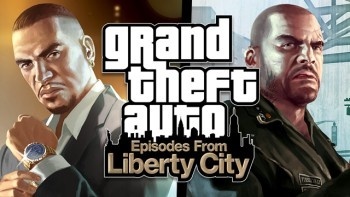 "Each episode boasts the same detailed and immersive Liberty City we all know and love. Games for Windows Live players can enjoy 32-player multiplayer matches and an advanced video editor, and all fans will have the chance to once again listen to the dulcet tones of Liberty City Radio." Microsoft forked over some big-time cash to keep the two DLC platforms exclusive to the Xbox 360 (for awhile, as it turns out) which explains why it's taken so long for the expansions to jump platforms. The Lost and Damned DLC was originally released in February 2009, while The Ballad of Gay Tony came out in October, but they remain popular in spite of their age: the Xbox 360 edition of Episodes from Liberty City is still retailing for $39.99 at GameStop. Pricing for the PC and PS3 versions has not yet been revealed, but will presumably be similar.